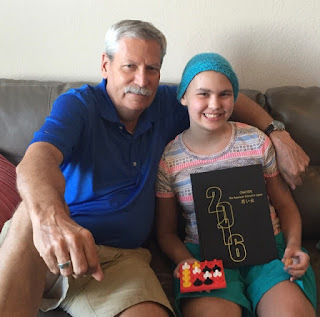 Abby Update - A Vision of Healing! : A New Norm? Schreiber family you are an incredible family and a huge inspiration to us all. This is what the Lord says, " Restrain your voice from weeping and your eyes from tears, for your work will be rewarded," declares the Lord. "They will return from the land of the enemy. So there is hope for your descendants," declares the Lord. "Your children will return to their own land." You may have only been physically at ASIJ and in Japan a few months but your presence has definitely been on going! Tell Abby I have another game for her that I'll be bringing in July!